Learning how to analyze connections, plan negotiation tactics — all while improving communication — requires research and patience. 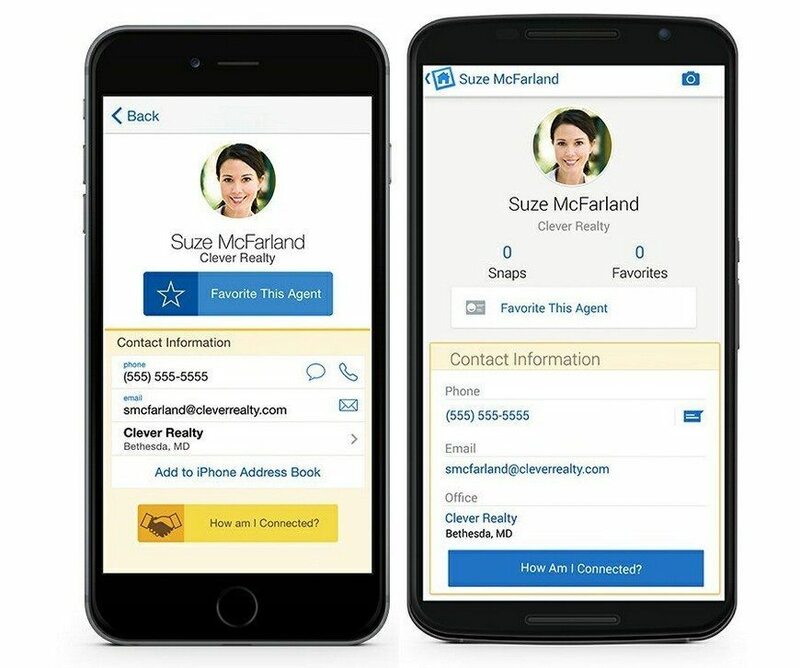 Homesnap Pro has developed a useful tool set to help agents learn how to connect the dots and become more efficient in interacting with fellow agents. Imagine receiving a “low-ball” offer on a property from an unfamiliar agent. Do you consider jumping on the MLS (multiple listing service) to figure out the identity of the “so-and-so” sending you this offer? In the past, this might have been researching the agent’s recent sales, asking around the office for intel or even taking the offer to your broker for advice. Homesnap Pro can turn this scenario around with a few simple taps. At first glance, the “Agents” (“Other Agents” via Android) option on the menu might not be an obvious tap, but once opened, users will learn that Homesnap Pro might be one of their top tools in their everyday business practice. You can also access this information in the agents section in every listing by tapping: the name, the agent’s initials or even their picture if they have uploaded it. “This information has always been available in the MLSs, but finding the specific figures was a disjointed experience,” president and co-founder, Steve Barnes, said. The developers at Homesnap Pro have created a digital tapestry out of the statistical data procured from the MLS. The “Agents” feature was created with busy professionals in mind. Agents who were involved in the development process of the app asked for this feature specifically. The next layer of the intelligence is “Connections,” which will not only show you the other agent’s recent contact information, but it will also let you know how you are “connected” with the agent. This connection could be either through past deals closed or even other agents in your office who have worked with the agent. Under the “Office” feature, you can track who is doing what in your office at a glance with easy thermometer-like graphics. In seconds, you can determine which agent in the office is on fire and who is spending too much time at the water cooler. “Favorites” allows you to create a customized list of agents you are interested in tracking. The application will also keep running history of every agent that you research. Perfect for when you cannot recall their name again. The good news is that this research is completely confidential and anonymous. Want even better news? The search feature is incredibly easy to use. Search by name or email address. Gone are the days of struggling to connect with agents. You can email, text or call an agent all through Homesnap Pro. The other side of this feature? As long as your phone is charged there is no need for printing out MLS sheets. You can display all the relevant information and then email or text to your client. So let’s reimagine the scenario of the “low-ball” offer. You receive an offer from an unknown agent that is less than perfect. Instead of texting the agent a crazy reply, you open up Homesnap Pro and pull up their profile. Snap activity: This may be a measure of how mobile tech-savvy they are. Sales activity: What have they been doing the last 24 months? Are they a listing agent or a buyer’s agent? By combing through a few graphics, you can determine if the agent is a REO (real estate owned) expert or a newbie to the game. You can also see that your office buddy just closed a deal with them, which means that you could call them to get the 411 on the unfamiliar agent. 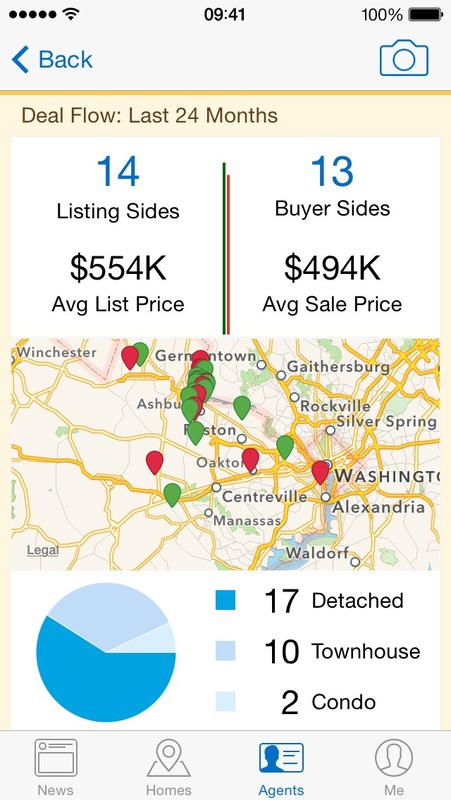 The ability to help agents craft dialogue and statistics is what makes Homesnap Pro stand out in a sea of over-complicated applications for agents. The user-friendly interface gets the job done in a graphically pleasing back-office experience for professionals that is both refreshing and responsive. “Other real estate apps focus exclusively on listings. We designed Homesnap Pro to focus on people, too — knowing that people and relationships are at the heart of real estate transactions,” Wolcott said. The key to finding success with the Agent features is confidentiality and professionalism. This information is a game-changer, and a great way to start working smarter and not harder. Homesnap Pro can unlock the hidden potential for many agents to not only become sharper negotiators, but stronger communicators. Homesnap Pro is currently available in eight of the top 20 MLSs in the country. To find out more and stay updated visit www.homesnap.com/pro for more news and information.